Tedlar Bags, liners, bailers-CEL Scientific Corp. Copyright © 2006 CEL Scientific Corporation. All Rights Reserved. 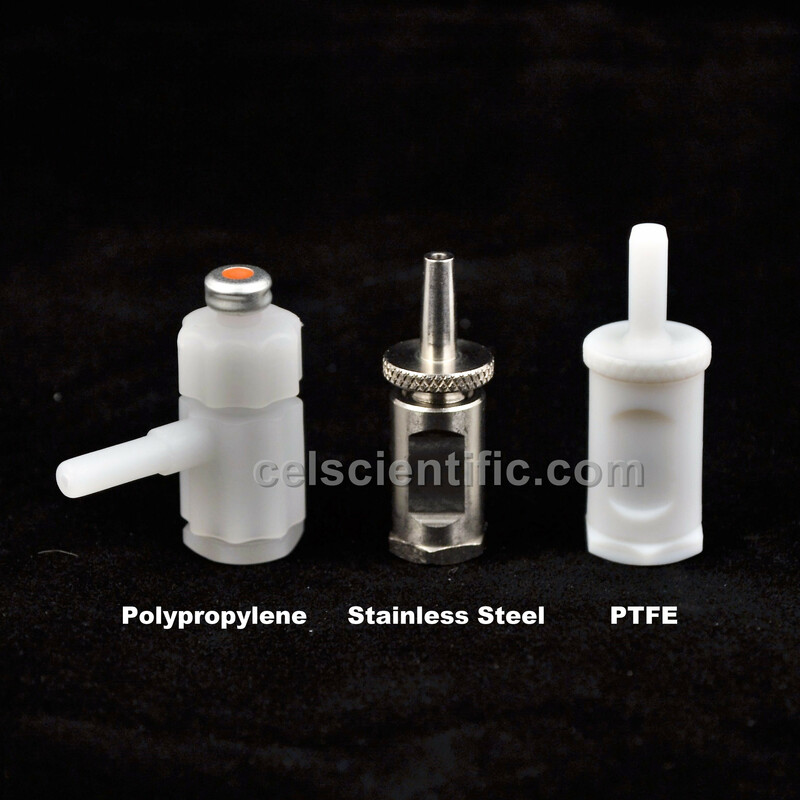 2-in-1 fittings available in polypropylene (left), stainless steel (middle), and PTFE (right). > Flush with purified air or nitrogen before use. > Never fill the bags more than 90% capacity. > Use a trip blank filled with zero air. Ground shipping within the continental 48 U.S. States only. 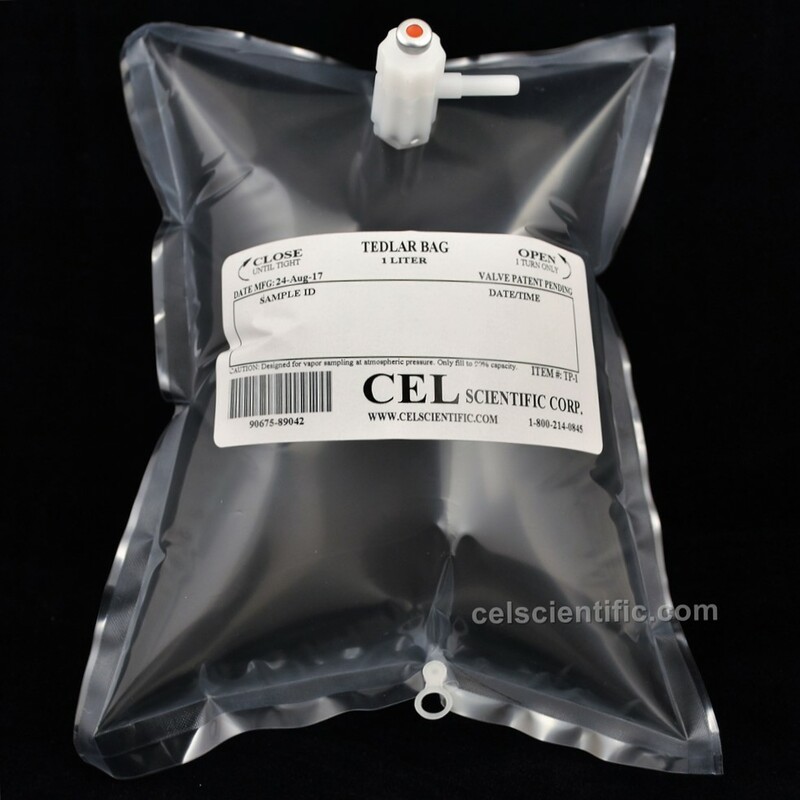 CEL Scientific gas sampling bags are made of DuPont's 2mil Tedlar® PVF film. us at +1-800-214-0845 OR fax your order to +1 (562) 309-0167.